I recently uncovered a little message Jordan Brand left us on two of their recent Air Jordan Retro's. While someone was inspecting their early pickup of a pair of 2013 "Grape" Air Jordan 5 Retro's, they noticed something. Writing on the inside of the shoe near the tongue. 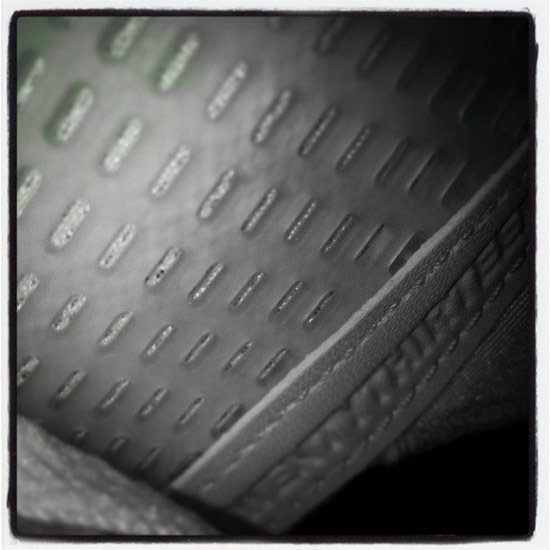 The phrase "TWENTYTHIRTEEN" representing this year, 2013 and the year this Air Jordan 5 Retro is to be released. After seeing this, I decided to check out my "Fire Red" Air Jordan 5 Retro released back in January to see if they too had this hidden message in them. 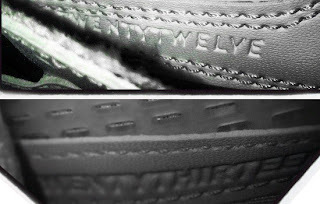 After inspection, it was revealed that they too feature the "TWENTYTHIRTEEN" phrase inside them. So after that, I figured i'd check out my 2012 Air Jordan 4 Retro's to see if Jordan Brand left anything behind on them as well. After checking those out, I discovered that they too feature a hidden message inside them. 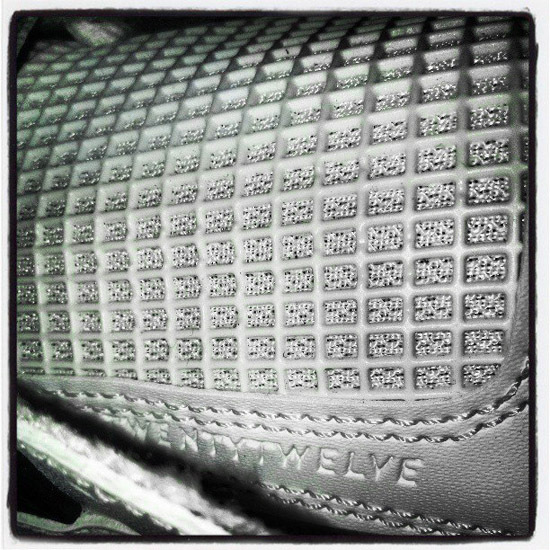 Just like the 2013 Air Jordan 5 Retro's, the 2012 Air Jordan 4 Retro's feature the year their were released on the inside of the shoe near the tongue, "TWENTYTWELVE". While this might not be a big deal to some, it's amazing that something like this has gone unnoticed for a whole year after numerous Air Jordan 4 Retro releases last year. Still, something cool to find and a little something extra to help identify a specific version of a colorway, if you need to. After these discoveries, I took to my Instragram account @ajordanxi to share my findings. After that, I figured i'd post them here on ajordanxi.com as well, for those who wish to see the result. If you have any of the 2012 Air Jordan 4 Retro releases or the first Air Jordan 5 Retro release of 2013 and want to see this message for yourself, pull a pair out and look at the inside area near the tongue to find this "Easter Egg". For a look at both messages, enjoy the images below. For more, be sure to follow me on Instagram, @ajordanxi.